2016 Theatrical Screening Tour begins in April! Theaters and Dates coming soon! Synopsis: Amber returns to her childhood home to care for her mother, Vera, who has been diagnosed with dementia. Just three years earlier, Amber lost her husband in a high school shooting where they were both teachers. Amber survived but still struggles with the loss of her husband and is traumatized by the act of violence. Her strained relationship with her mother only amplifies her stress and depression. During sleepless nights, Amber begins to discover hidden photos and unopened letters that unleash a dark family secret. A past that still haunts Vera and kept hidden from Amber for her entire life. Ultimately a story of acceptance and redemption, The Other One is a beautiful and serene film haunted - like each of us is - by the pasts that we embrace, hide from, lie about, and make peace with. "I am still digesting the introspective, haunting, brooding aura I carry with me. Grace did a memorable performance, focused, intense, and credible; above all persuasive and convincing. Much to savor about the cinematography, performances, and minimalist music." "Most surprising was how much I could relate to it on a personal level. I was tuned into it entirely- music perfectly matched to scenes." "I was surprised that even though I figured out what happened, the whole movie kept me guessing." "Favorite moments were all the details captured in the film, great art shots!" When I first met Grace, I realized she was the one meant to play Amber, and I showed her the short script that The Other One was based on. Through our subsequent conversations, it became clear that Amber, Vera and Jett's story was more complex than a short film could effectively reveal, and we began working on the feature version. Workshopping with the actors has become an integral part of the development process. Each of our families has faced the pain of watching loved ones slip away from us, and we have drawn on that experience. Grace, Nancy and Jesse have brought Amber, Vera and Jett to life, discovering not just the nuances of performance but revealing the shadowy corners of their story that need to be told. 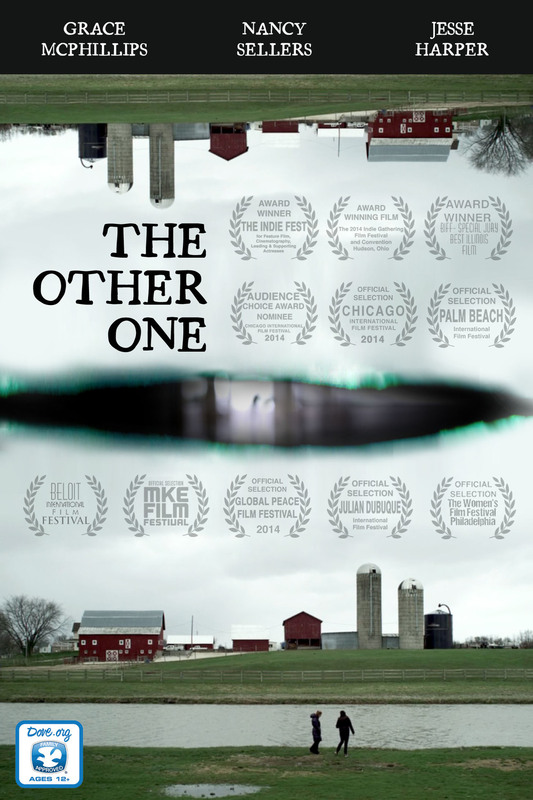 The Other One is a ghost story; all of the characters are haunted in the way that each of us is -- by the pasts we embrace, we hide from, we lie about and we make peace with. Are you really intrigued??? Here is the PRESS KIT FOR DOWNLOAD which contains even more backstory, bios on the cast and crew, and the full synopsis of this mysterious and cathartic film!